Designed to produce an enhanced surround sound effect, this piano black Klipsch Reference Premiere RP-250S Surround Speaker can handle up to 100W of continuous power and is equipped with two 5.25" Cerametallic cone woofers and two 1" titanium LTS tweeters that are each paired to a 90 x 90° Tractrix horn. It has a frequency response of 58 Hz to 25 kHz and can be placed on a shelf, speaker stand, or wall-mounted. The 90 x 90° Tractrix horn is designed to create a wide dispersion area. It is paired with a circular horn throat for an enhanced soundstage. The grilles magnetically detach, and the magnets are built into the baffle for enhanced high frequency diffraction reduction. The Linear Travel Suspension is designed to minimize distortion for enhanced, detailed performance. Cerametallic woofers are designed to maintain enhanced rigidity with lightweight construction for minimal cone breakup and distortion. Utilizing Tractrix geometry, the port in the RP-250S is designed to allow for efficient, fast air transfer from the cabinet to provide a clean, powerful low frequency response. The RP-250S has been designed to hang on the wall or be set on a speaker stand to provide versatile placement options. Box Dimensions (LxWxH) 18.0 x 16.0 x 12.5"
Reference Premiere RP-250S Surround Speaker (Piano Black, Single) is rated 5.0 out of 5 by 2. Rated 5 out of 5 by William from Great Surround System Speakers were a gift so actual knowledge of the sound is second hand.? The 250S speakers were paired with other comparable Klipsch speakers to create a surround sound system for my son.? The 5-1 system pairs the 250S with a pair of 280F's in the front, a 450C center channel and R-12SW woofer.? Recipient was extremely pleased with overall sound reproduction not only for movies but his music.? B&H 1st rate on selection, delivery and pricing! Rated 5 out of 5 by Anonymous from I have recommend this product to my friends. These speakers opened up a whole new listening experience. The movies sound much more robust and alive as well as the music. 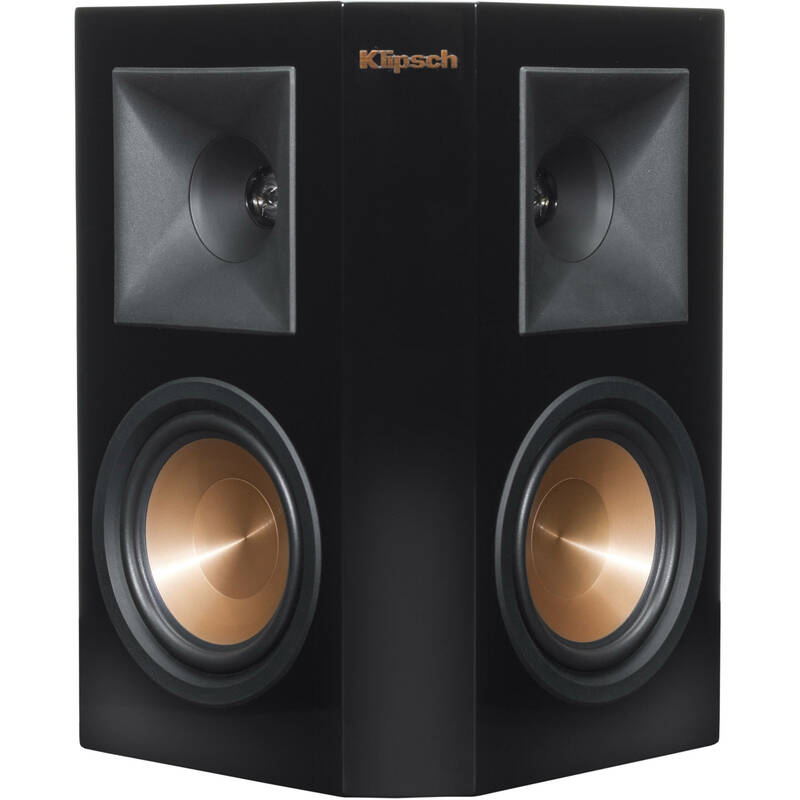 what speaker stand fits klipisch rp-250s? I have onkyo tx-nr 3030 AV receiver can I a pair of these speakers as surround or rear left right to it? Yes, you can. Excellent choice.